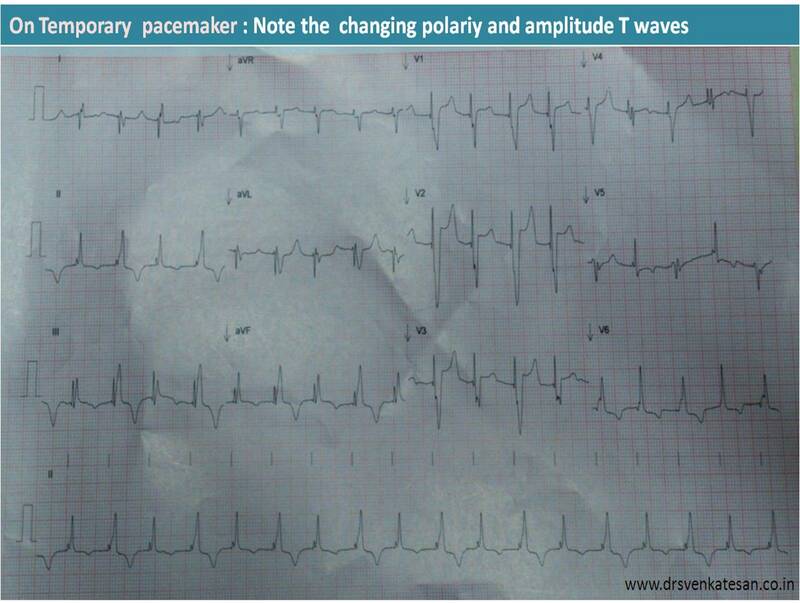 It is believed T wave alternans is a marker of impending ventricular fibrillation. 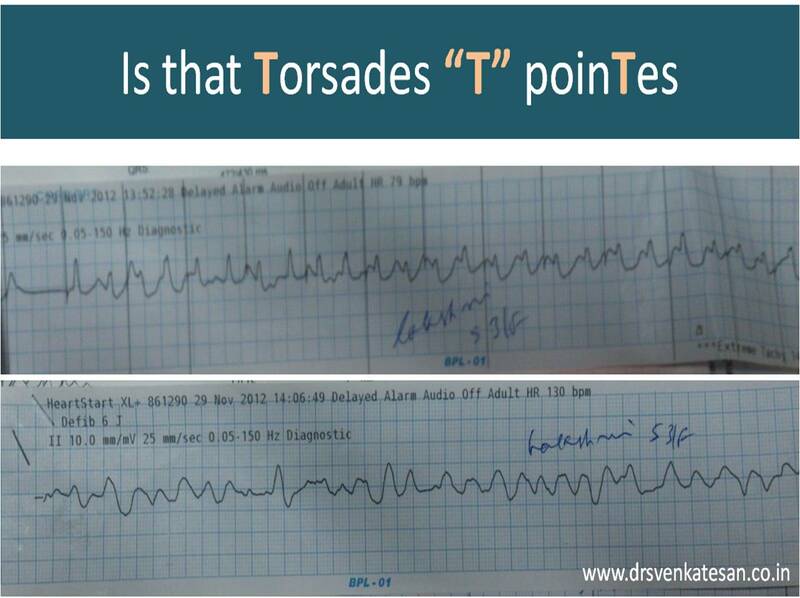 Though it is not applicable in every clinical setting it is indeed true if we observe T wave alternans in an acute ischemic setting .Here is a patient with ACS and inferior MI who developed T wave alternans after temporary pacing. went in for a chaotic T wave rhtythm and ended up in VF that required s shock.T wave alternans is other wise known as repolarisation alternans . Torsedes is twist around it’s axis. Any ECG wave can twist in it’s axis .If T wave alternans becomes gross it will twist 180 degrees .Once this happens the heart can go for fibrillation any moment !